Proceedings of the First Symposium on Epidemiology in Occupational Health. Helsinki, 10-12 June 1981. Design options in epidemiologic research. An update. A comment on the reference series with regard to multiple exposure evaluations in a case-referent study. Significance of cross-sectional surveys in occupational epidemiology. A feasibility study of organizing occupational health services for farmers. Occupational mortality and morbidity in relation to selective turnover. An epidemiologic approach to occupational health problems in Egypt. Analysis of a follow-up study: an example from asbestos-exposed insulation workers. Anatomy of the health worker effect - a critique of summary statistics employed in occupational epidemiology. Mesothelioma and the fiber type in three American asbestos factories - preliminary report. Effects of low-dose radiation - a correlation study. The utility of regional cancer mortality data for identifying occupations at high risk. Occupational bladder cancer and cigarette smoking in West Yorkshire. Prevention of occupational cancer: a different approach. Back complaints and findings in transport workers performing physically heavy work. Drawbacks of clinical diagnoses in epidemiologic research on work-related musculoskeletal morbidity. Low-back pain and early retirement among Danish semiskilled construction workers. Follow-up respiratory measurements in Quebec chrysotile asbestos miners and millers. Comparison of measured and predicted ventilatory volumes in selected groups of industrial workers. Respiratory status of stainless steel and mild steel welders. Cross-sectional study of pulmonary function in cadmium alloy workers. Neurophysiological findings among house painters exposed to solvents. Neurophysiological changes in workers exposed to organic solvents in a shoe factory. Electrophysiological study of subjects occupationally exposed to lead and with low levels of lead poisoning. A new approach for providing occupational health services in developing countries. Mercury exposure and effects at a thermometer factory. Occupational exposure to synthetic estrogens: some methodological problems. The occupational health nurse's contribution to epidemiology.  Potential 2,3,7,8-tetrachlorodibenzo-p-dioxin exposure of Seveso decontamination workers: a controlled prospective study. Warts among workers in poultry slaughterhouses.